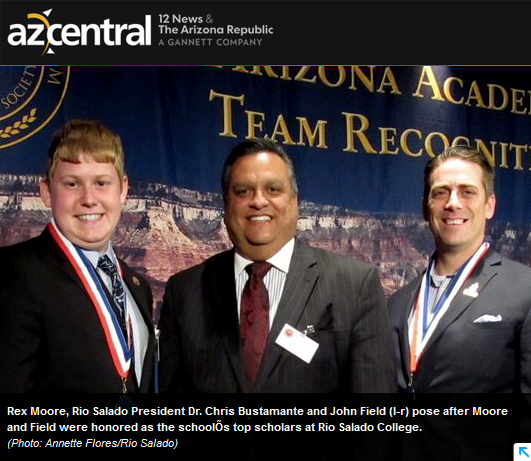 Rio Salado College presented Rex Moore and John Field as its 2015 scholars at the 20th annual All-Arizona Academic Awards Luncheon on Feb. 18 to honor students for outstanding academic achievement, community involvement and leadership. Moore and Field were among 26 Maricopa Community Colleges students recognized at the luncheon and awarded full tuition to an Arizona state university of their choice, along with cash awards ranging from $500 to $1,000 dollars. Learn more about Moore and Field in this azcentral.com story.